You will enjoy making this pretty princess petal crocheted circle jacket for any little girl in your life. Due to the detail edges of this jacket, the project is more suitable for intermediate to expert level crocheters. These are the sizes that are included in the crochet pattern: 1 to 3 months, 6 to 9 months, 12 to 18 months, and finally, 2 to 4 years. Drops Design’s amazing creative designers are the people responsible for this princess crocheted jacket. 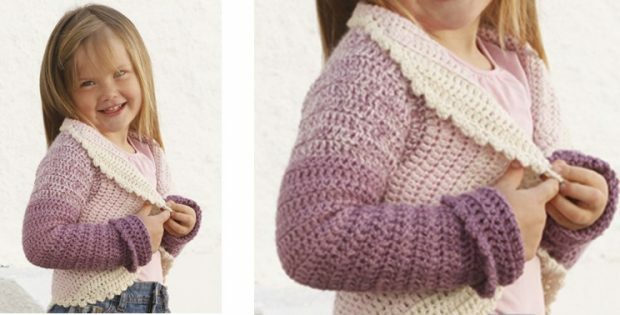 In fact, you can access the FREE crochet pattern for this pretty princess petal jacket at Drops Design.